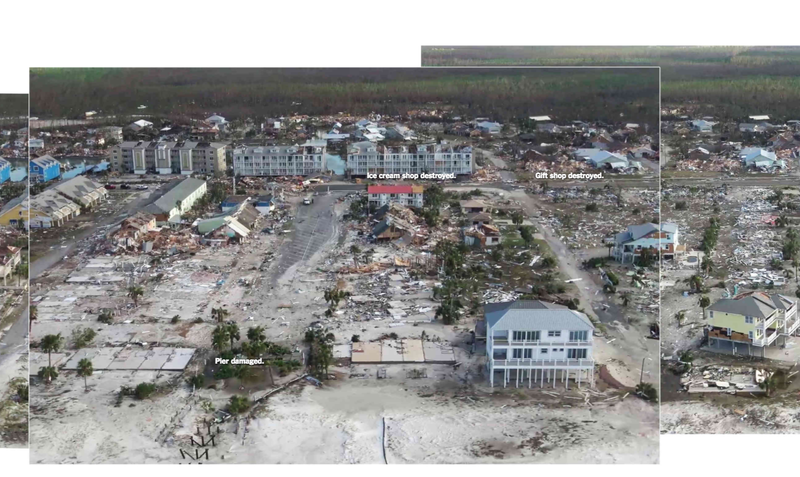 After Naples, Florida-based arts organization Artis—Naples initially revealed its ambitious, Weiss/Manfredi-designed master plan earlier last year, the pounding Florida took from Hurricane Irma forced the arts group to alter their plans. Today the arts group released details of how its $150-million master plan lays out the Kimberly K. Querrey and Louis A. Simpson Cultural Campus, and a timetable for repairing the damage from Irma. The 99,000-square-foot campus is currently home to the Naples Philharmonic and the Baker Museum, which has been closed since September 6th as a result of water damage, and a handful of smaller arts buildings. With a goal of turning site’s tangle of impermeable parking surfaces into activity space, the heart of the new master plan lays in a set of ascending terraces at the campus’s core. The landscaped steps will also act as a “dynamic, outdoor space,” according to Artis–Naples. The surrounding interiors will also be revamped to better suit performances, learning areas, and social interaction spaces, all of which will look out on the new green spaces and elevated sculpture gardens. 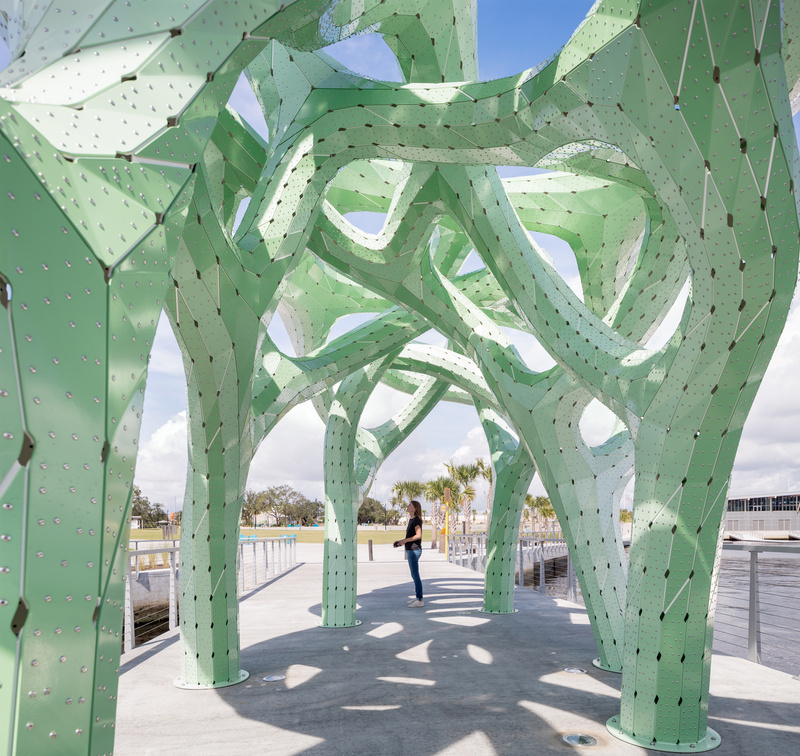 Most striking is the proposed visitor’s plaza, will rise up and give guests a view of the nearby Gulf of Mexico. 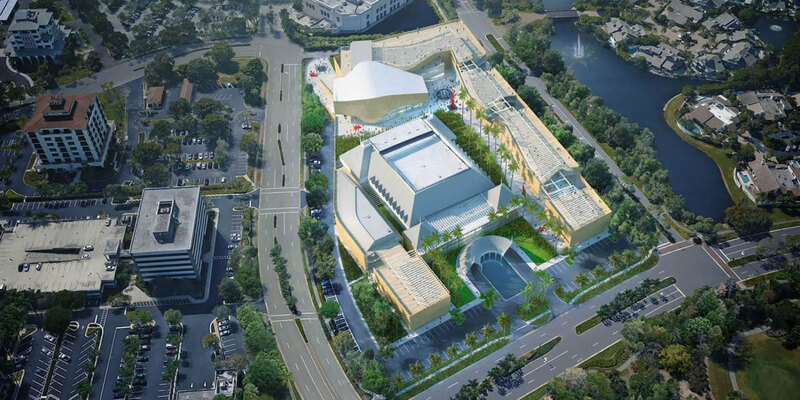 Implementing the master plan and necessary renovations are part of Artis–Naples’ Future—Forward Campaign for Cultural Excellence, which is also responsible for raising the required $150 million. 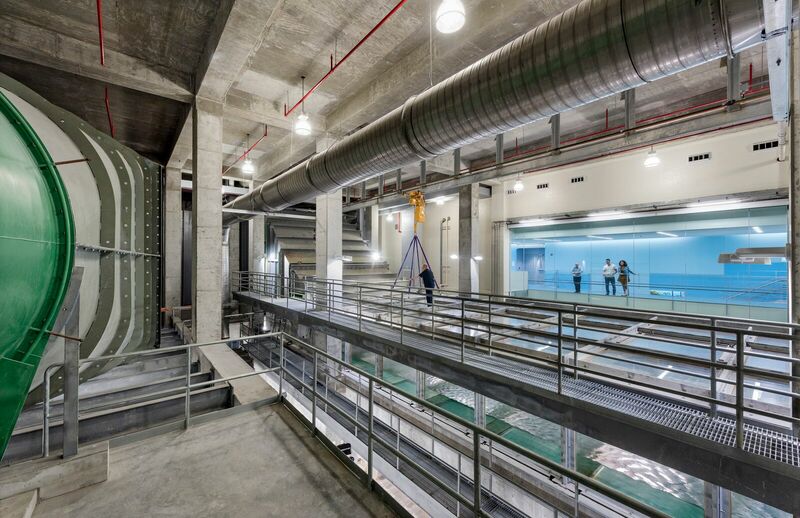 At the time of writing, $50 million has been raised, $40 million of which has come from the Artis—Naples’ Board of Directors. The campaign is now kicking off and $25 million has been set aside for the first phase’s capital projects, including repairs to the Baker Museum. The campus expansion will initially start in the south and include a redesign of the Baker Museum’s façade and entrance areas to make it more accessible. The façade replacing it will be built from natural stone, and the second floor will cantilever over a glassy, hurricane-resistant ground floor space on the building’s east side. The master plan was shaped in part by a public forum held on March 9th, where Weiss/Manfredi took public input on how best to shape the campus. As Artis–Naples is still fundraising, an exact timetable for the project’s completion is uncertain, though they hope to have the museum open by 2019. While Houston and other parts of Texas grapple with the fallout from Hurricane Harvey, another storm, Irma, has shaped up to be the third most powerful storm ever recorded in the Atlantic, with Category 5 winds measuring up to 185 miles per hour as of Wednesday evening. Having watched Irma pummel through the Leeward Islands in the Caribbean, the City of Miami—which has long known of its innate susceptibility to flooding and erosion—prepares itself for what may well be an incredibly devastating blow this weekend. One of the more urgent concerns raised by the city is the damage that could be wrought by 20 to 25 construction cranes scattered throughout the city, which can withstand winds only up to 145 miles per hour and take two weeks to properly disassemble. Since the storm's potential path was only projected last Friday, there will not be enough time to take down the equipment. 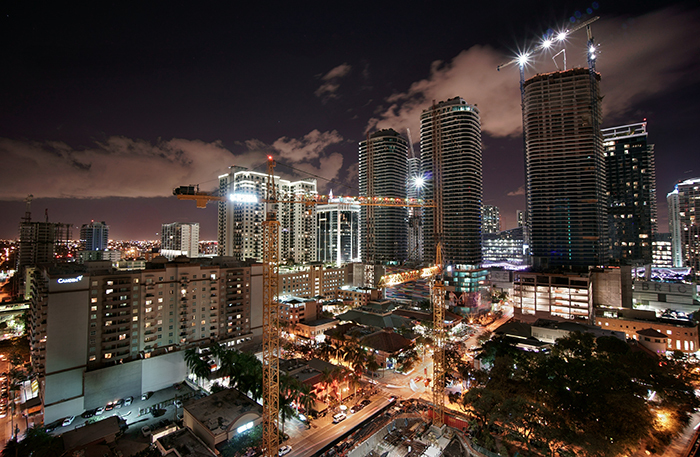 Consider that the counterbalances on tower cranes weigh about 20,000 to 30,000 pounds. Late yesterday, Miami-Dade County issued a mandatory evacuation order for its coastal cities, including Miami Beach, and the city is continuing its preparation efforts by clearing the downtown harbor, closing public parks, and supplying sandbags for flood protection efforts. For those living in affected areas, the Florida State Emergency Response Team has activated an Emergency Information Line at 1-800-342-3557.